A man speaks on his mobile phone as he walks past a closed shop painted with an advertisement of Reliance Communications in Mumbai, India, January 29, 2018. 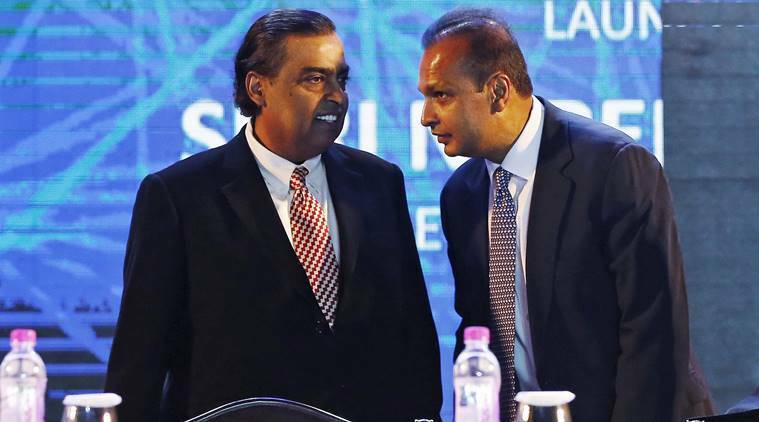 "My honest and heartfelt thanks to my respected elder brother, Mukesh, and Nita for standing by me during these trying times, and demonstrating the importance of staying true to our strong family values by extending this timely support", a late-night statement addressed by Anil Ambani to his brother and sister-in-law read. Like other Indian telecoms firms, Reliance Communications (RCom) was hit by a fierce price war following the entry of Mukesh Ambani's telecom upstart Jio, which offered free voice and cut-price data plans. The Swedish firm signed a deal in 2014 to manage and operate RCom's network and a year ago approached the court over the unpaid dues. The dispute with Ericsson started when the Swedish firm sought to recoup 16 billion rupees from Reliance Communications. Earlier on Monday, Swedish telecom equipment maker Ericsson said it has received Rs 458 crore from RCom.